Bartholomew JoJo “Bart” Simpson or simply Bart Simpson is a cartoon character in the animated television series The Simpsons. He first appeared in The Tracey Ullman Show before The Simpsons started airing on December 17, 1989. Bart Simpson is the ten year old middle child of Homer and Marge Simpson and brother to Lisa and Maggie. He is a mischievous and rebellious child who has the tendency to violate rules. 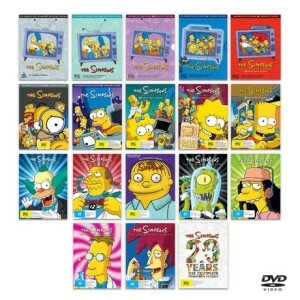 In the TV series, Bart is popularly known for his chalkboard gags in the opening sequence and his catchphrases such as “Eat my shorts,” “Ay, caramba!” and Hey, don’t have a cow man!” Bart will eventually become one of the most popular characters in the Simpsons, starting a merchandise featuring himself. He also earned a place in Time’s 100 most important people of the 20th century and “entertainer of the year” by Entertainment Weekly in 1990. He also owns a star on the Hollywood Walk of Fame. Bart lived with his parents in the Lower East Side of Springfield until the time that they move to their own house. He was jealous of Lisa initially but he eventually became a loving big brother when Lisa first learned to say his name. An incident in the school would mark his rebellious and mischievous behavior as the series progressed. Bart loved skateboarding, watching TV, reading comic books, playing video games, and doing the occasional mischief. He also like Jaws and the Star Wars trilogy. Throughout the series, he would do some part-time jobs that included bartending, being Krusty Klown’s assistant, doorman, and a factory owner for a short while.